When are 20 bucks and a store manager’s ego more important than a decade of customer loyalty? Never! Little things can be much more costly than one might imagine. I recently had an experience that clearly demonstrated the crucial need for better training at all levels, from entry-level employees to management. This situation occurred at a local tire store, one that is part of a national chain—of which will go unnamed—but claims in their name to be pros with tires. The store manager made the decision that $20 in his cost on labor, and his need to be right was more important to him than a loyal 10-year customer. Customer loyalty counted for nothing. New tires (sets of four) on 3 cars—approximately 8 sets at an average of $300 per set equals a minimum of $2,400 in retail sales. Satisfied customer recommendations to friends and business acquaintances—in this particular case the bare minimum is referral benefit is a fleet of 18 cars and trucks that moved their account to this particular store five years ago based on my recommendation. This referral has resulted in approximately 9 sets of car and truck tires purchased yearly by the company. At an average of $400 (truck & SUV tires are more expensive), the yearly sale to this company is $3,600. The bare bones minimum value this store received from one customer’s loyalty and referrals for 10-years is $20,400. 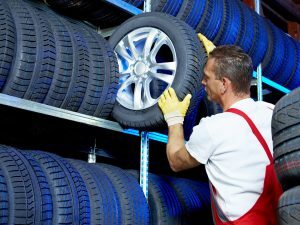 Within the next 2 months, the store will lose the sales on sets of tires for both a minivan and an SUV equaling a minimum of $700. Over the coming decade the store will also lose, not accounting for inflation, at the very least the same $2,400 from my 3 cars, and most likely more because employees did not value customer loyalty. After telling the above-mentioned fleet manager that I had recommended to this store five years prior, the one that claims to bepros with tires, this store will most likely also lose my friend’s fleet account. The fleet account loss over the next 10 years will be at least $36,000. Lost sales in the community of Thousand Oaks, CA where I live. While for a decade I had recommended these pros with tires to a number of friends, now I will, as would most people in this situation, make it a point to tell anyone that will listen how poorly I was treated by the store manager. How many dollars do you think will be lost? I’m sure you would agree that it is not a good idea to treat any customer poorly, but to treat a heavily published author and busy professional speaker poorly is purely lunatic, as I will now use this story about the brand that claims to be pros with tires at many of my seminars across the country. Will people discontinue using this company that claims to be pros with tires just because I tell the story? I don’t think so. But, what will happen is that the next time they do business with this chain and a problem occurs, as is bound to happen, they will remember my story. Now that chain, and the particular store, has an additional strike against it—perhaps their last? All of the above lost, and potentially lost business, because a chain store manager let’s his ego and 20 bucks get in the way of making good customer satisfaction decisions. This is a common mistake that many managers and owners make, and not exclusive to retail. Not enough consideration is given to customer loyalty. My teenage son took his car in to get the tires rotated and balanced—a free service from the pros with tires, for the life of one’s tires. Driving away from the store, my son noticed the car now pulled to one side. He returned to the store where they are pros with tires and asked them to fix the problem. They said they aligned the front end and charged him for the service without his approval (something that is illegal in the state of California). He did not argue the issue as it was the end of the evening and other customers were also trying to get out of the store too. Driving away again, he noticed the car still pulled. The next day I went to the store and spoke with the manager, we’ll call him Dan because that’s his name. In private, I explained to Dan my displeasure in the situation and asked him to remedy the problem. He said he would. Upon returning to pick up my son’s car, Dan personally guaranteed that the car now drove straight. And scribbled on a scrap of paper how he claimed one of the front tires wore unevenly because of the car being out of alignment. When I asked for Dan to refund the charge to my son since my son did not knowingly authorize work to be done that would incur a charge, he got in a huff and started to process a credit. Customer loyalty was not top-of-mind. While processing the credit, Dan asked what I did for a living. I told him that I help businesses to be profitable. He snidely asked if I would do work for free. I told him that up to that point, his customer service had been acceptable and cautioned him not to go further. He then told me that he did not want me to ever return to his store. Leaving the store, I noticed that the tires were rotated back to the position they were in when my son originally brought the car in for the rotation. The manager lied to me about remedying the problem. All this resulting in the car back to how it was when my son first came in and the store firing a 10-year customer. To answer Dan’s question—I would absolutely do something for free for a 10-year loyal customer if I even had a hint that my organization or I might have even partly been responsible for a situation that made a customer unhappy. Waiting to speak to Dan that evening, I overheard a customer congratulate Dan on his promotion, I assumed to a district manager position. Just think what’s going to happen to the stores that he oversees if he takes this antagonistic attitude with customers that are rightfully, or even un-rightfully, dissatisfied with the service delivered by the pros with tires. There goes customer loyalty in his area. Receiving a promotion is not a justifiable reason to let your ego control your customer satisfaction decisions. What Can Be Learned From Dan’s Foibles? Do what your marketing material, advertising material and sales invoices clearly state that you will do. If your business card has the picture of a doctor checking out a tire and your advertising brags that you inspect all tires when rotated, be consistent in your actions with both your branding position. This will most assuredly mean that you have to better train your employees, even the entry-level ones. Too frequently entry-level employees execute complementary services that are offered in marketing materials but are executed poorly or incompetently. If the employees of this store did their job consistent with their company’s national branding position, and there was in fact uneven tire wear, they would have told my son about the problem rather than letting him drive away believing they damaged his car. If a customer believes you caused a problem, either fix it or if you believe it was not your fault, take the time to educate and show them on the actual product what you believe to be true. This goes a long way for developing customer loyalty. Don’t take advantage of teenagers lacking the life experience of mature adults, even if it is legal to do so. Besides losing me as a customer, the pros with tires, also lost my teenage son. How many tires might he have bought from this national chain in his lifetime? I can assure you that he will never buy a tire from the pros with tires. Do the job right the first time to earn customer loyalty. In this situation they charged my son for a service they did not competently perform. Had they have correctly aligned the front the first time; my son most likely would have accepted the unauthorized charge. If they in fact executed the service properly, with the rear tire in front and a competent mechanic doing the alignment, the car would have driven straight. When a customer comes into your store and asks to speak privately they do this for two reasons. First, as not to embarrass you in front other customers. And second, because they are very seriously dissatisfied yet want to continue the relationship—hoping that you care enough about them as a customer to take care of the problem. If you truly believe you are not at fault in a situation, take the time to demonstrate on the product why you believe the problem was customer caused and still offer to cover the cost. If you explain your position convincingly, more times than not, your customer will accept accountability and not ask you to completely cover the cost. Why in the world would you want to get in a huff with a customer? One thing that Sears and Nordstrom have in common is that they have extremely liberal return policies. They know the value of keeping a customer for life. They know that the buck or two they lose here and there is nothing compared to the lifetime dollar value of a single customer. Before you fire a customer, determine how much business that customer has done with you and could potentially do with you. If it economically unintelligent to do business with a customer, by all means fire them. But why would you give up income because your ego might have been bruised a little? In my situation, Dan’s company has a computer system sophisticated enough to look up customers by last name, but unfortunately, Dan was simply too lazy to check the facts and fired a 10-year loyal customer based on his ego needs. Don’t lie to your customers as Dan lied to me. He told me he had fixed the car when he had not. His store must have been unable to properly align the car as he stated it needed to be, or why would he have put the tires back to how they were positioned when my son brought the car into the pros with tires in the first place? It’s the little things, the seemingly inconsequential decisions, that when extrapolated out into the marketplace that can cost a local store, a national chain, or any business both huge lost sales dollars and agonizing damage to the brand. While I’m sure you are not guilty of the above situation, it bears repeating: When are 20 bucks and a store manager’s ego more important than a decade of loyalty from a customer? Never!